Problems with a soakaway? Get in touch with BlockBusters today! One job we are often called out to involves dealing with soakaways and drain overflows. 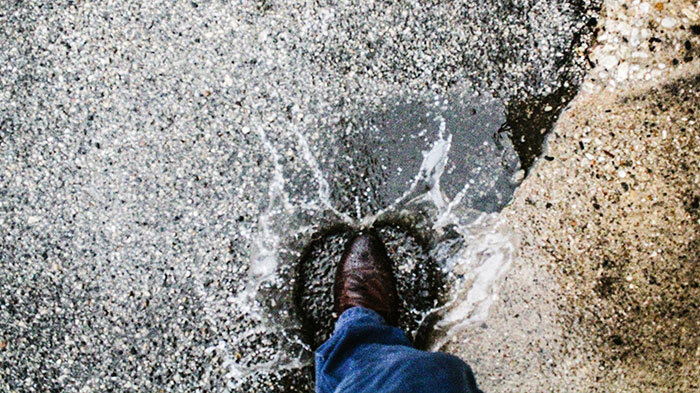 When there has been a lot of rain or flooding, soakaways can end up clogged and cause flooding and groundwater. Luckily, we are able to rectify these problems. A soakaway is simply a hole excavated in the ground and traditionally filled with rubble and coarse stone. In modern day procedures, plastic crates are used instead of rubble and coarse stone (this is to cut time and costs during installation). A soakaway is created as a place for surface water and rainwater as well as water from downpipes and channel gulleys to be collected and then percolate back into the earth. The main problem people experience with soakaways is that they can become blocked up with silt, leaves etc which have washed into the soakaway and can prevent the rain water being collected and percolated back into the soil. We often don’t notice this has happened until there is a pooling of water around the bottom off the rainwater pipes or channel gulleys. Sometimes this can be rectified with high pressure water jets, gaining access to the pipework and backwashing it to drag out the silt and leaves so that it is left clear and running. However, there are no guarantees that this method works and, in our experience, there is about a 50% success rate in getting a soakaway back to its original condition after a few hours of jetting. If the soakaway cannot be repaired or cleaned using the jetting the only alternative is to excavate either a new soakaway or that same soakaway (after tracing) and then install a new soakaway to the correct standard. Under more recent regulations, there is now a minimum distance that a soakaway must be from any building. Blockbusters Contracts Ltd have over 27 years experience in providing these services at a competitive rate. In some cases these works can be covered under your household insurance policy, but only if they are addressed correctly from the offset. This means that you must have adequate proof as to the cause of the damage to water main pipework and you must claim on the right policy under the right section, following all the correct procedures throughout the claim. We offer a free claims management service at Blockbusters to all of our customers. When a soakaway that has blocked and flooded we can attend your property and provide a report. We can also deal with your insurance company directly on your behalf at no extra cost to you. The repairs can then be authorised with your insurance company prior to works being completed. Please contact Blockbusters Contracts Ltd on 08900 136658. Or for peace of mind – book today for your free above ground drain survey! If you enjoyed reading this blog and want to read more in the future, why not like our Facebook page so you can stay updated.